There’s life after the European Tour Q-School and while it’s a far cry from the Race to Dubai millions, seven Irishmen have decided to part with €600 to continue their golfing odyssey at next month’s Alps Tour Qualifying School in Spain. Former British Amateur champion Alan Dunbar, who turned professional following this year’s Masters, is exempt into the 54-hole final stage at La Cala Resort from December 16-18 where the goal is to finish in the top 35. 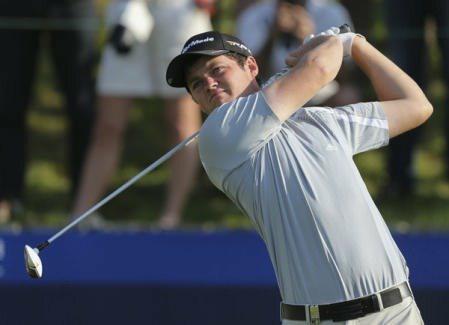 Matthew McAlpin, Simon Ward, Ciaran Lavery, Brian Casey, Andrew Hogan and amateur Thomas O’Driscoll must all come through the 36-hole first stage from December 12-13 if they are to have a chance of playing at least 19 events in France, Italy, Belgium, Austria, Spain and Egypt on the 2014 Alps Tour schedule. The objective is then to finish in the top five in the Order of Merit and earn automatic promotion to the European Challenge Tour for 2015 but how these players are going to meet the huge costs involved remains to be seen. Gareth Shaw achieved the feat by winning the Alps Tour money list in 2012. And while he didn’t earn his European Tour card through the Challenge Tour this year, he made over €100,000 on the strength of some brilliant performances in the Irish Open and the Open de France. Dunbar played five European Tour events on invitations this year and made three cuts, earning €39,960. He also got eight starts on the Challenge Tour but made just three cuts, earning €9,229 to finish 109th in the Challenge Tour rankings. Having missed out at Stage Two of the Q-School, it will be a tough 2014 for Dunbar and while he is likley to get funding from the Team Ireland Golf Trust, it is going to be an expensive exercise. Ireland had just one graduate from the European Tour Q-School this year - Kevin Phelan - and while several of the grant recipients did well with Simon Thornton’s maiden European Tour win the highlight, we continue to struggle to get talented players onto the main tours. An injection of sponsorship is crucial to add more cash to the Team Ireland Golf Trust kitty. Scotland’s Team Scottish Hydro initiative, which identifies seven of their most promising players and pays part of their travel and hotel expenses for a season, has helped five Scots make it onto the European Tour over the past three years. While 14 Irish golfers split €140,000 in Team Ireland grants between them this year - they got between €15,000 and €5,000 each - it’s not enough to cover their expenses and take the stress out of what is already a highly competitive environment. Alan Dunbar will be at the first stage of the Qualifying School next week. 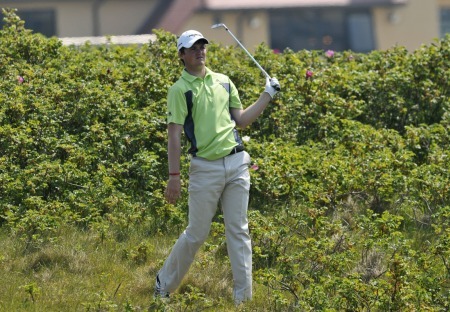 Picture by Pat CashmanBritish Amateur champion Alan Dunbar is amongst the 39 Irish players who will begin their lonely quest for a golden ticket to the European Tour through the gruelling Qualifying School later this month. Matt McAlpin led the quintet of Irishmen who will join Alan Dunbar at next week’s final stage of the Alps Tour Qualifying School in Spain. The Royal Portrush man shot a two under 70 at La Cala’s America Course to finish tied for second in his section of the First Stage Qualifier on five under par. Brian Casey hailed his girlfriend for her course knowledge as he took a one-stroke lead into the final round of the Alps Tour Q-School in Spain. The Headfort star, 22, fired a two under 70 on the Asia Course at La Cala to lead by a shot on nine under par in the race for 35 full cards on the satellite circuit next season. Headfort’s Brian Casey closed with a super 67 to cruise to an impressive, wire-to-wire, five-shot victory at the Alps Tour Q-School in Spain. The 22-year old Meath man will be joined on the satellite tour next season by Co Louth’s Simon Ward, who scraped on the one under par limit as 37 players grabbed full cards.